People who live in large cities are forced to live without almost any touch with the nature. This is especially hard for outdoor enthusiasts and nature lovers. Therefore, we try to bring a piece of nature into our home, in order to satisfy at least our basic needs for the energy that plants bring. The reason why we like closed terrariums so much is possibly because they remind us of a little forest in the middle of our home. 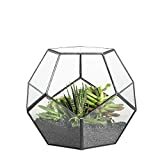 We have done a small research and prepared a guide on how to make a closed terrarium. It’s actually quite simple, just follow the instructions. 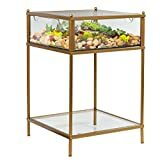 How Do Closed Terrariums Work? Terrariums are basically small indoor gardens in a sealed container. 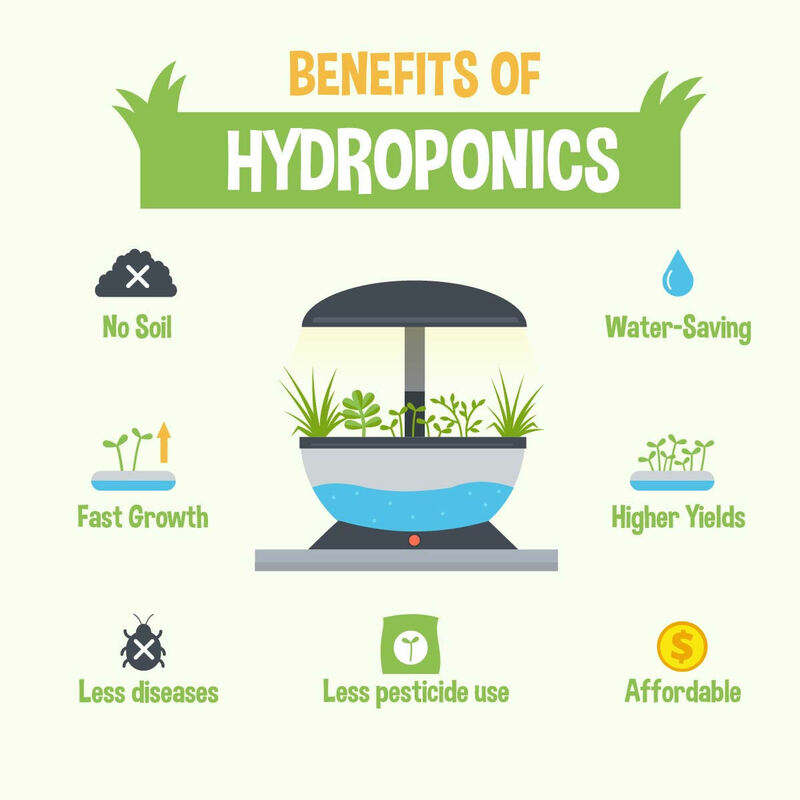 Its plants and soil release water vapor and essentially recycle the water. 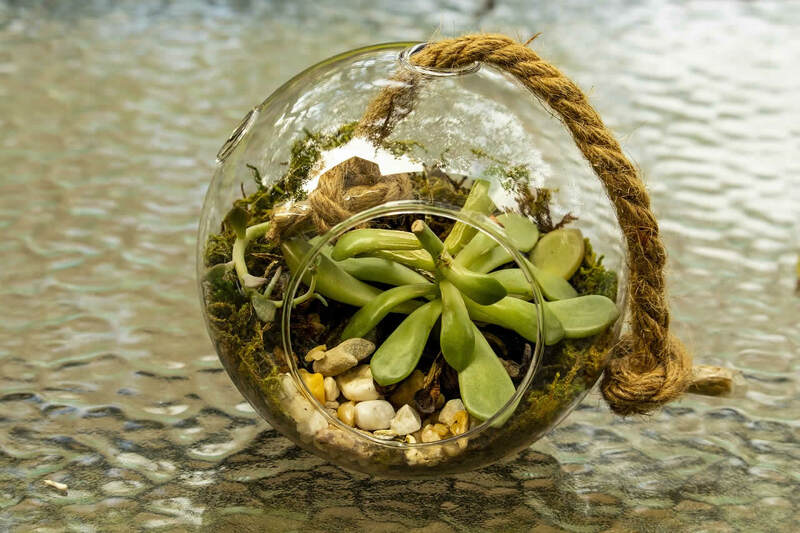 They are pretty self-nourishing, which is why little terrariums require just a little maintenance to be healthy. You can find moss and pebbles walking through your neighborhood. 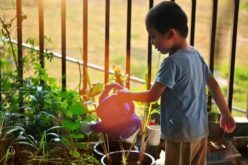 Gardening doesn’t just make your home beautiful, but it also relieves the stress. 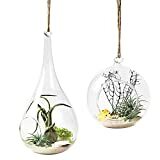 For starters, you can search the web for the pictures of closed terrariums and find an inspiration for your own little project. 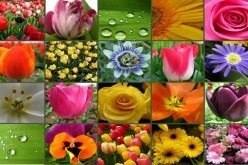 Think about the plants and colors you would like to use to make a closed terrarium. Feel free to release your imagination. Closed glass or plastic transparent container. Of course, a glass one is a more natural solution. As an alternative, you can always make one of your own out of a soda bottle, fish tank, fish bowl or even cookie jar. Good growing medium – soil for closed containers. 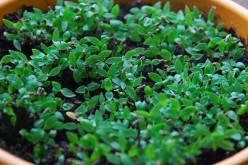 Slow growing and humidity-loving miniature or dwarf plants, with similar needs. Activated Carbon or Charcoal you can find at the Garden Center. A spoon for placing soil. Your plants are about to live in very close quarters, so make sure the ones you use have the same light and moisture needs. 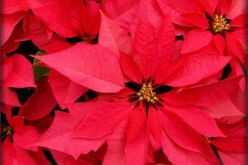 Choose plants that can tolerate low to moderate light and need humid conditions. 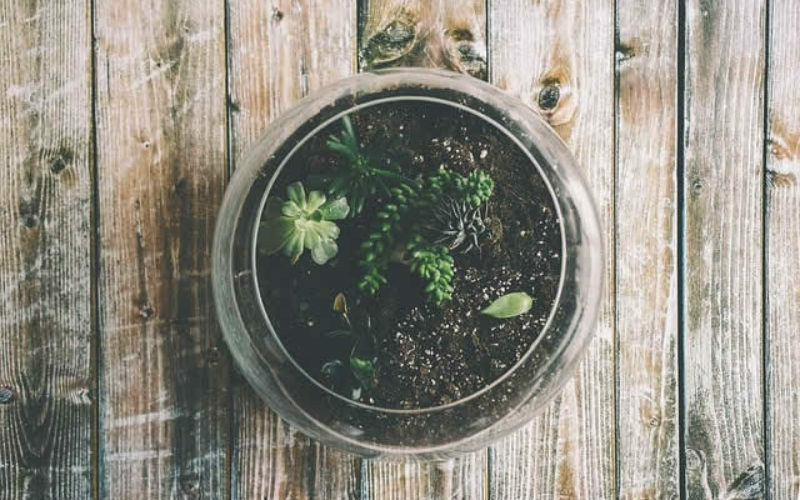 Although you can try with any small plant, foliage plants and plants that grow slowly typically work best for terrariums. You should probably avoid fast growing plants. Ferns are ideal for closed terrariums. You can use Maidenhair, Birds nest and Button ferns. Carnivorous plants, such as Venus fly traps, Pitcher plants, Sundew plants. You can always go with dwarf palms. Airplants, like the beautiful Tillandsia. Look up some nice Succulents like different cacti, Hawthornia, Echeveria, or Crassula. Peperomia plants are also a great choice. Use foliage plants and plants that grow slowly for your terrarium. Where to Find Moss, Pebbles and Driftwood? The best way to find these is to go for a long walk looking down. Take clean freezer bags with you. You will find moss easily during or at the end of a rainy season. Even if you find moss that is brown and looks dead, you can bring it back to life quite quickly by preserving it in a jar. Also, while walking around, look for some nice pebbles, interesting rocks or driftwood pieces, which you could use for the decoration of your terrarium. Start by filling the bottom of your container with half of the amount of soil you plan to use. This will provide drainage and keep your plant’s roots from rotting. Pebbles are a good option as your first layer in the terrarium, but this is up to personal preference. Then, place a thin layer of activated charcoal on top of the pebbles to ward off bacteria and mold. Then, you can add any pieces of driftwood or large rocks that you would like to include in your terrarium. 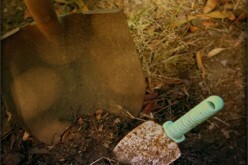 Make a big hole in the soil in order to place moss and the roots of the chosen plants. Remove the plants from their original container very gently. Place the roots of the plants in the thin layer of soil and add the second layer of soil around them. And then press, the new soil level should be about the same level as the soil of the plant’s original root ball. Be creative, mix up the plants, pebbles, rocks and driftwood. You can also add some figurines, shells or anything that comes to your mind. Mix different colors and sizes until you get the appearance you like. Don’t overwater your terrarium, feel the soil. What happens if your terrarium gets bugs, you wonder? First of all, don’t panic. There are many ways to keep insects out of your little garden. You will find insecticidal soap at your local gardening store and you should apply it to infected plants. Pebbles or rocks are also amazing help to deter gnats and avoid over-watering. 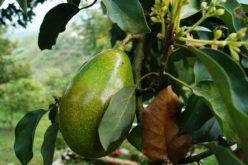 Worst case scenario – if everything else fails and the plant is still infested, it’s best to remove the entire plant. Keeping a sick plant in a terrarium could easily harm the other plants as well. Be very careful when moving your closed terrarium, they are very delicate. 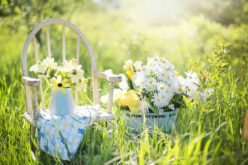 Once you get your own little garden, you cannot just quickly pack your belongings and move, you need to organize safe transport for your plants. And although you may have an urge to do so, don’t overwater it. What your terrarium needs is just to mist it lightly with a spray bottle. Once you make a closed terrarium, you actually only need to water it a few times. After that, it should maintain its own water. Interestingly, some terrariums have gone decades without being watered whatsoever. But, rather than watering on a schedule, check the soil to see if and how much water your plants need. Its greenhouse structure recycles water instead of evaporating water into the ambient air with normal indoor plants. Also, keep your little garden near a window where it gets indirect sunlight. 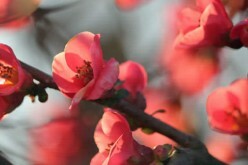 A good habit is to prune the plants frequently to cut off dead parts. 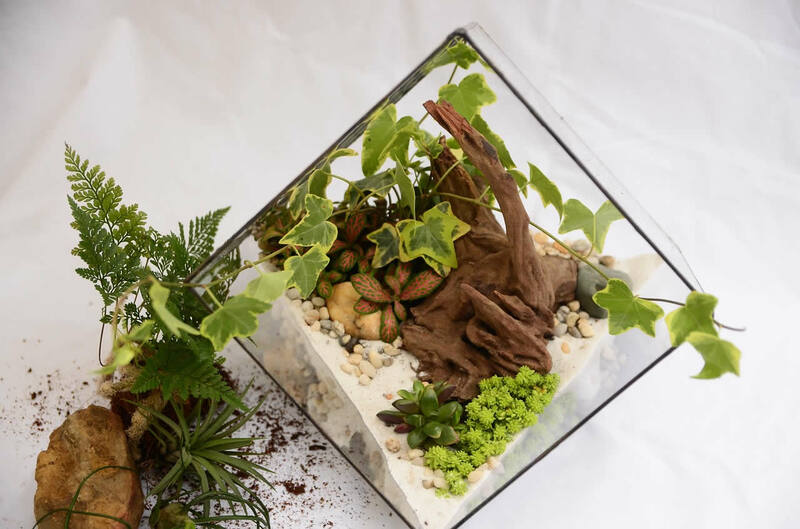 Within a few weeks your new closed terrarium should blossom – enjoy it! 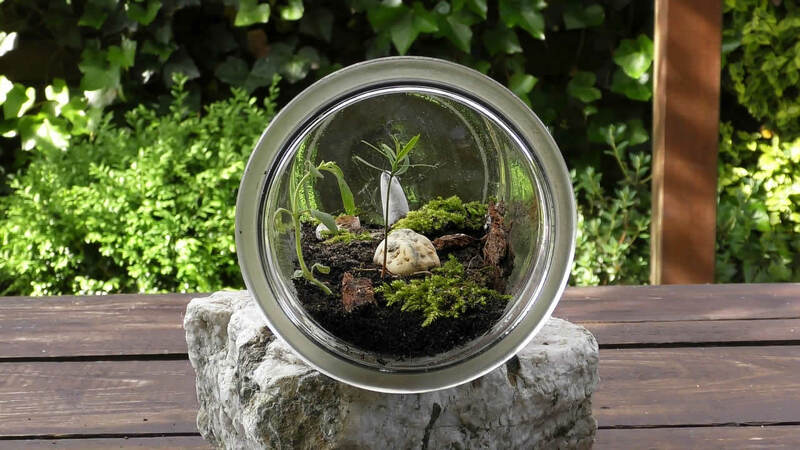 TERRARIUM: 8 holes offer fresh air for plant life. Reinforced Glass for added strength.